I’ve completed the top and two of the sides so I’m over half way, particularly as there isn’t much cross-stitch on the bottom. I’ve been reading the instructions about how to make up the finished item. It’s quite clever I think (presuming it all works out as good as it should!!) Nathalie from Jardin Privee recommends interfacing the cross-stitch with Jeffytex, having exchanged e-mails I think Jeffytex is like pelmet interfacing.The linen is folded on the green line then ladder stitched through the back-stitches, making a nice crisp edge. Fingers crossed it all goes together nicely! 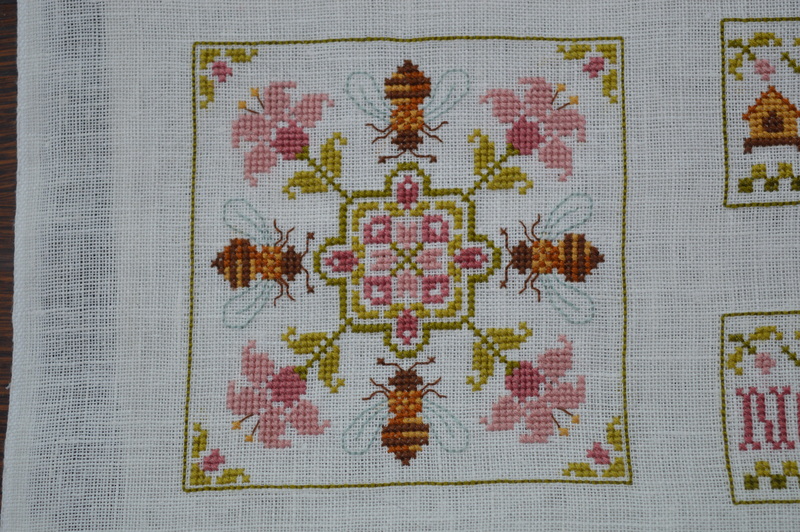 This entry was posted in Crafts, Serendipity, Sewing and tagged Bee Pincushion, cross-stitch, Jardin Privee. Bookmark the permalink. This is soooo cute! I can’t Waite to see it when you are finished. Thank you Gail, hopefully this time next week! Thank you, I’m really pleased with it. Thanks Gail, I’m really enjoying stitching it. Love the design! Have never seen a pin cushion made in this fashion and look forward to future posts. Thanks Carla, I think it’s a gorgeous design, have a look on Jardin Privee, she’s some lovely designs, I’ve got a few more lined up!! Wow! Can’t believe how much you’ve done in a week! It’s lovely, and just had a peek at the finished one on the link you added – stunning! Have to admit though, not much housework has got done! Just had to have a mad tidy up as we’ve a visitor this afternoon! What a great little project. I’m looking forward to hearing how the finishing process goes. 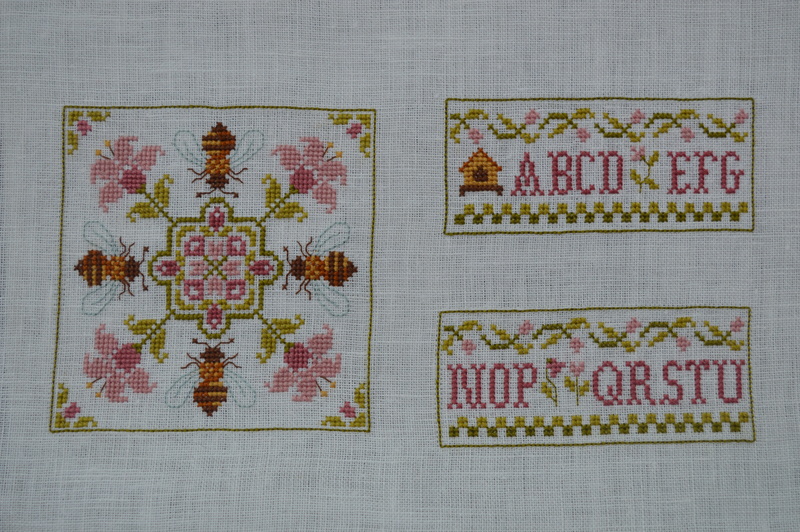 Beautiful stitching… hope it comes together easily for you! Thank you Kathy, I’ve got my fingers crossed! I am looking forward to seeing that pincushion. It is really cute. Thank you Cathie, hopefully this time next week! What a very pretty little project! Thank you Chantal, I’ve got my fingers crossed for that bit! Beautiful stitching! It’s going to be a lovely pin cushion. Thank you Kate, I think so too.